Do you like Age of War? Share it with your friends. A unique game "Age of War" which will surely impress all fans of strategic games. Become a military leader and command your own army in many bloody battles. This original game maps the entire war history of humanity. 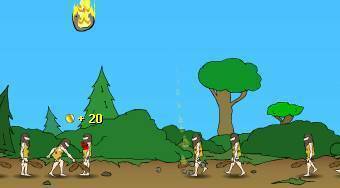 You will be able to battle in prehistory, Middle Age, modern times and even in future. Give sensible commands to your soldiers and destroy all opponents!